We believe that a well-rounded programme of physical education and activity is essential for the health and well-being of our students. At Selkirk Montessori, children usually start their days with 15 minutes of movement to music (Move and Groove) in the gym, a power walk or classroom physical activities. Teachers find that when they start their academic day, they are fresh, focused and ready to learn. Students participate in physical education activities with specialists Bree Tibble (Grades 1-2) and Brian Empey (Grades 3-8). They learn skills for a variety of sports, including basketball, volleyball, badminton, soccer, hockey, football -- just to name a few. Over the years, students take skating and swimming lessons (Grades 1-3) and recess games and sports (Grades 5-8) as part of their physical activity program. We take advantage of the Gorge Waterway to enjoy dragonboating and kayaking during the year as well. We participate in the annual Independent Schools' Track Meet. In the spring, we focus on the various skills the students require to compete in track and field events. 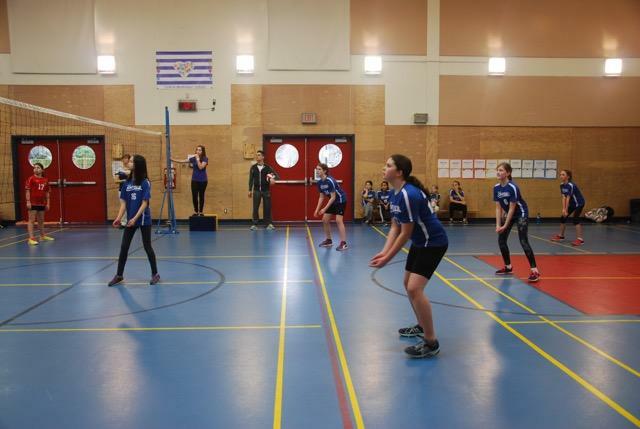 Extra curricular club activities at Selkirk include cross country running, basketball, badminton, soccer, volleyball, floor hockey, swimming and dance. We take part in cross country running, basketball, volleyball and badminton tournaments with other local independent and public schools throughout the year.